May 7 -- Rain had been forecast to start overnight, and we awoke to discover the weathermen had it right. Phil, acting as the team’s designated meteorologist, made the call at 5:00 AM that we should scrap plans for a pre-dawn walk to the tip. We will try another day to find some mammals and perhaps a bird species or two in the pre-dawn hours. With Rob as a valuable addition to the team, we made our usual drive to the Visitor Centre, and took the tram to the Tip. By then it was raining steadily, with thunder rumbling in the distance. At the windswept Tip, absolutely nothing had come in overnight according to Josh, the young Ontario birder who’s spending a month at Pelee collecting data on bird migration. Unsurprisingly, the short walk back to the end of the tram line yielded nothing of interest. (Later in the day, an American Bittern would land in a tree close to the tram stop, but we would not be there to see it. )Walking the Woodland Trail, we picked up several species of warbler, including a new one, Bay-breasted, found by Ray. After a very welcome cup of coffee at the Visitor Centre, we drove back to the hotel and spent a couple of hours drying out. By the end of the morning the rain had ended, so after a quick lunch we headed back to Hillman Marsh in search of Green Heron and Least Bittern, dipping on both. But in compensation we found Semipalmated Plover and Least Sandpiper. As the weather had now turned sunny, we headed back to Pelee and enjoyed a couple of hours mostly on the Tilden Trail. We saw plenty of warblers, including much better looks at Bay-breasted, this one found by Rob, and had great looks at Veery, Hermit, Swainson’s and Wood Thrush, a grand slam of thrushes. 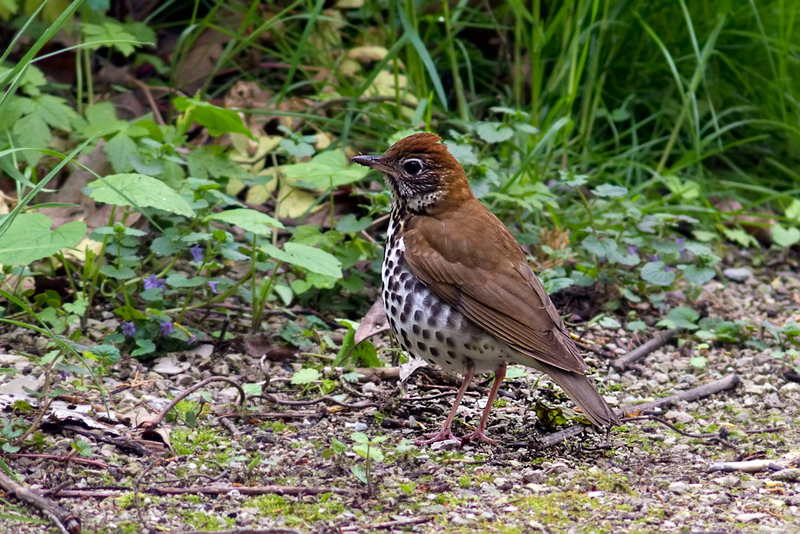 The exquisite song of the Wood Thrush tops them all. The day ended with a stop at Fletcher’s for Ray to pick up his laundry (Mike won the pool for how much it would cost Ray, and he was still low by a good margin) and a tasty meal at the Mexican Restaurant and Taco House. 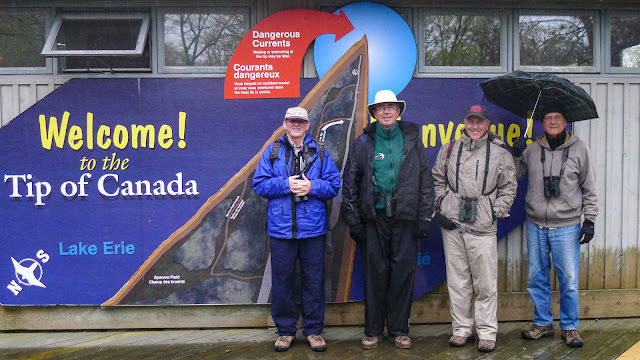 May 8 -- Our second visit to Rondeau Provincial Park necessitated an early departure at 5:15 AM and we started birding at 6:45 AM. A walk along the first part of the Marsh Trail produced little of interest, but from then on we had a great day of birding. 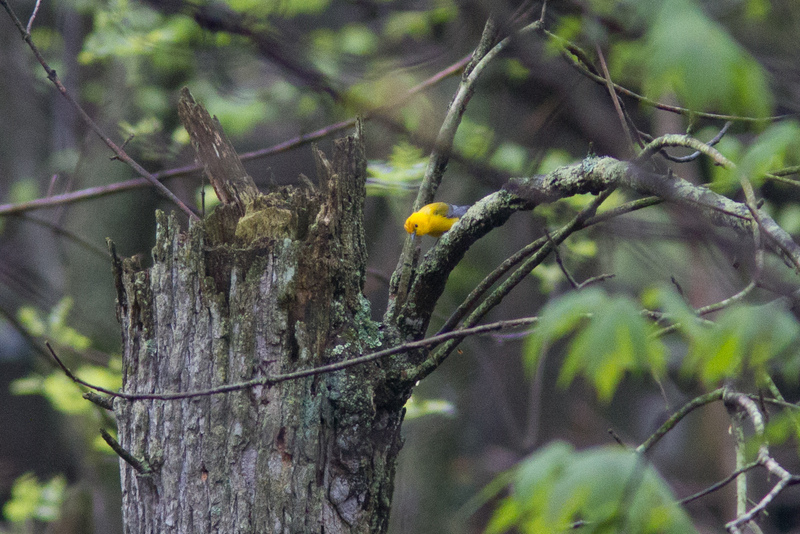 Our main target for the day was Prothonotary Warbler, as Rondeau is one of the very few places in Canada where it nests. 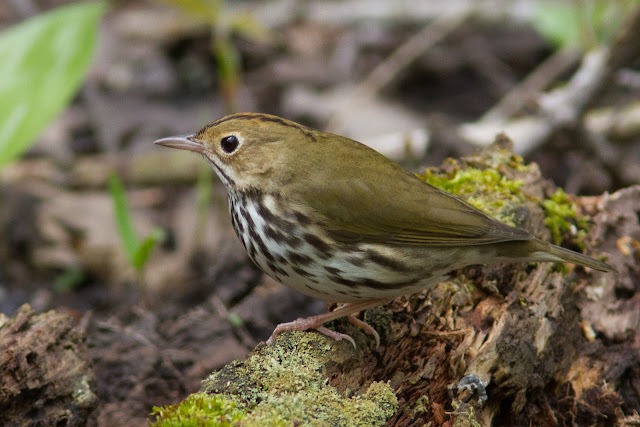 The Tulip Tree Trail wanders through swampy habitat favoured by this species, and many other birds were singing along the way, including the smart Ovenbird. After a patient wait on the boardwalk, we had given up on the Prothonotary and were on our way when another birder called us back – the bird had showed up and then put on a wonderful show for us., though slightly too far for great photos. 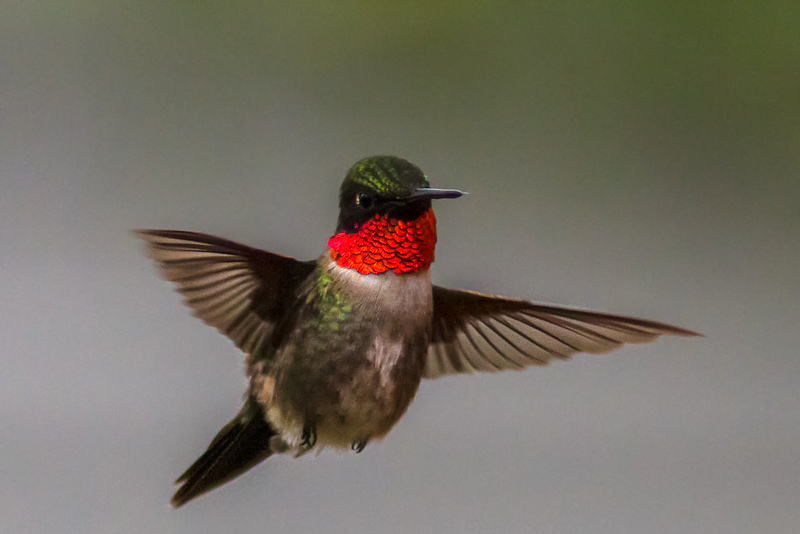 The park staff rated this sighting as the “bird of the day”. 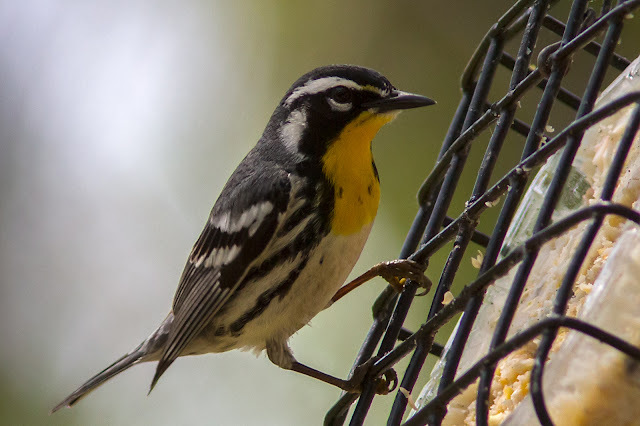 Recent reports indicated that the Yellow-throated Warbler was still visiting a feeder on Lakeshore Ave, so we tried again this morning – and failed again! 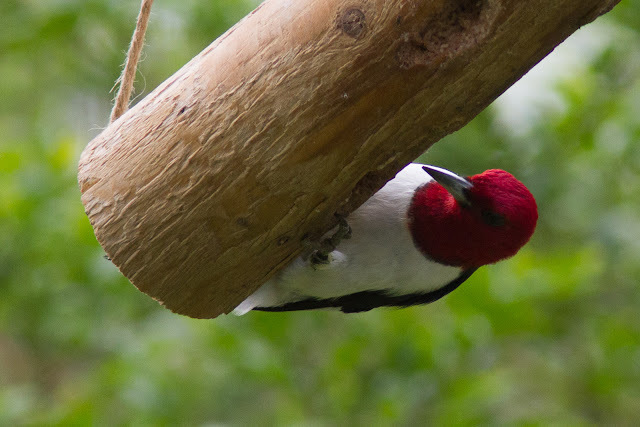 Compensation was forthcoming from Ruby-throated Hummingbirds, Red-headed Woodpeckers, Rose-breasted Grosbeaks and American Goldfinches visiting the feeders. After some more birding in the woods, yielding many species of warbler (we saw 19 in the day) and other birds, we took a quick lunch outside the park, and said our goodbyes to Rob, who we’ll see again in Nova Scotia in early July. A Clay-colored Sparrow heard from our lunch stop was a new species for the year. They are very common in Alberta and we will see many later on. Back to Rondeau after lunch for one more try for the Yellow-throated Warbler, and this time… success! 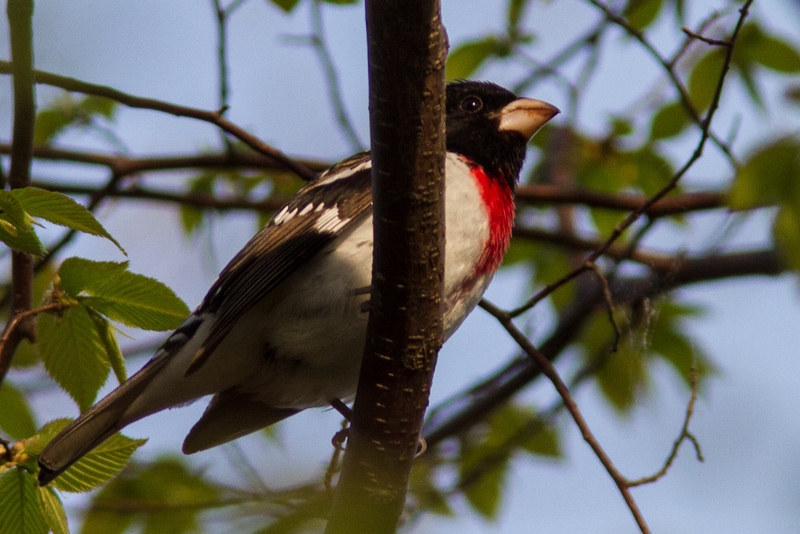 The bird came in almost immediately, if briefly, and provided a good photo opportunity. Phil enjoyed a catch-up Tufted Titmouse in the same yard, and later on a Field Sparrow singing near the beach. Our final stop in Rondeau was on the short Pony Barn Trail, where we lucked in to a Hooded Warbler. Walking the woods in Rondeau was most enjoyable, similar to Pelee in some ways, but much less crowded. From Rondeau we headed for the Blenheim Sewage Lagoons where we added a few new birds for our day list, including a group of six Bobolinks. 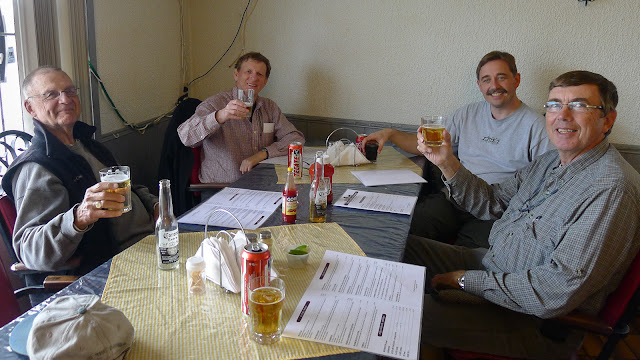 After dinner we took stock of our remaining targets and came up with a plan for our final few days in Ontario. Great blog guys, with some stunning photographs. What camera/lense set up are you using?